 As Belladrum has launched it's own official forums, the Belladrum forum has been removed from eFestivals. ahhhh, it looks like it might not be gone after all .... I've finally had a response to the emails I sent to Bella about it, so as soon as things are clarified it might well be put back again (none of the posts within it have been lost). Shame if this was lost as many people go to multiple festivals and efestivals was a great place to flick between those we are interested in it. Although I use the Bella Forum, it's not yet carrying the same enthusiasm or usage as the efestivals one. Does that mean Bearded Theory at al have to go too? Sound like an odd thing to do! Bearded Theory (BT) don't have their official forums here while also having their own conflicting official forums, which is the situation with Bella (which is currently being discussed with them to try and find a sensible resolution). In fact, BT don't have a forum here at all. What there is is a "My Festival Group" that has been created by BT-goers, along with a forum for that group. Someone visiting these forums wouldn't be aware of the forum's existence unless they joined that group - it's a hidden forum unless a member of that group. The official Belladrum forum is dead - compeltely, not that I'd even consider posting on it. hope there will be some decent bands at next years one. apart from the odd few here and there,theres never been a good line up at any of them. Fantastic....... the return of negativity. Great effort!! How many times........ if you don't like the line up, don't go!! My mistake. I was getting you mixed up with another Paul - he's posted negative comments in the T and Connect forums on a fairly regular basis for some time (they're there for all to see). Sorry. What about all the positive ones too about those 2 festivals and others... or did you not notice them? Certainly not in recent times (about most things connected to DF), no. I thought the line up at bella was really good and at £80 quid I thought it was a bargain. I also liked the way the website put a link to all the band websites or myspace. A a result I checked out a lot of bands before hand and then really looked forward to seeing them. I'm with you on this Paul ™ - no problem with constructive criticism, especially when some promoters are becoming lazy and complacent (we know who they are.......). And I agree with theampersanddevil that line up was good this year - and in past years. Rarely struggled for someone to see, and kept an open mind on some new stuff after looking at the links you mentioned. Same again please - credible headliners with ability to hold the top spot, plenty indie bands (some old/some new), a smattering of singer/songwriters and a few leftfield folk/rock/punk/country outfits would do me fine. Happy days. I see Wickham Festival have made a few announcements today and over the years some bands played both there and Belladrum. Their dates co-incide with Belladrum next year so I'm not sure if that's a good or bad thing - but they have announced Levellers, Shooglenifty, Salsa Celtica and The Men They Couldn't Hang amongst others. I could easily handle some of these for Bella as long as the overall mix was good. Thoughts?